Posted in: jewely, Men's shoes, New line, Uncategorized. 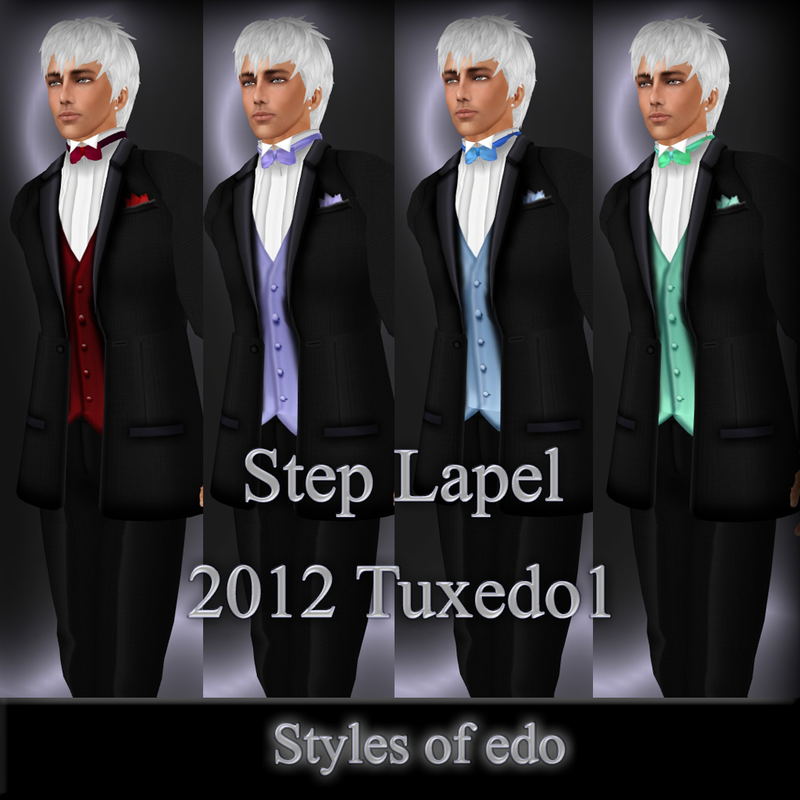 Tagged: 2012 new line, Add new tag, fashion for men, Formal, Men's, Secondlife, secondlife styles of edo, secondlife Styles of edo formal suit mens, Styles of edo, Styles of edo mens, Tuxedo, Tuxedo Step lapel, tuxedo styles of edo. Here is your Limo to Styles of edo main store. click "join" button at group information. Styles of edo news Sept. 8th 2011. Posted in: Information, Men's clothing. 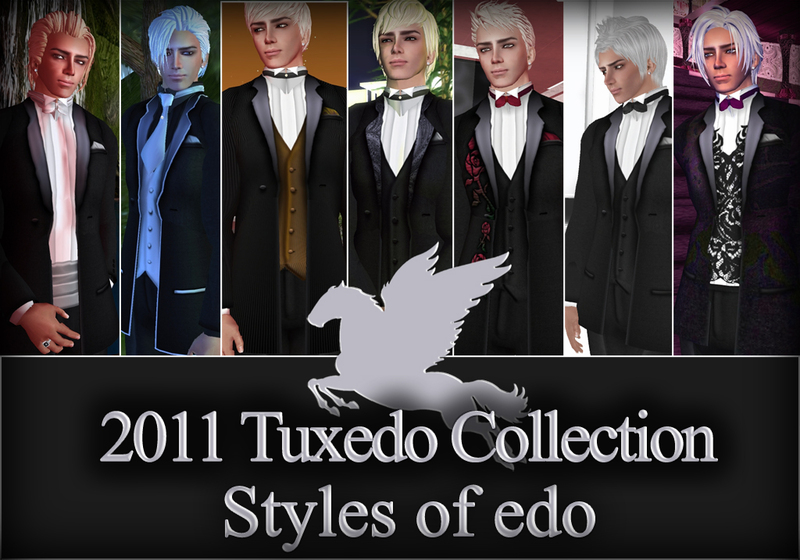 Tagged: Formal, Men's, men's formal clothing, second life style of edo, Secondlife, secondlife style of edo, secondlife tuxedi Styles of edo, Styles of edo, Styles of edo mens, Tuxedo. 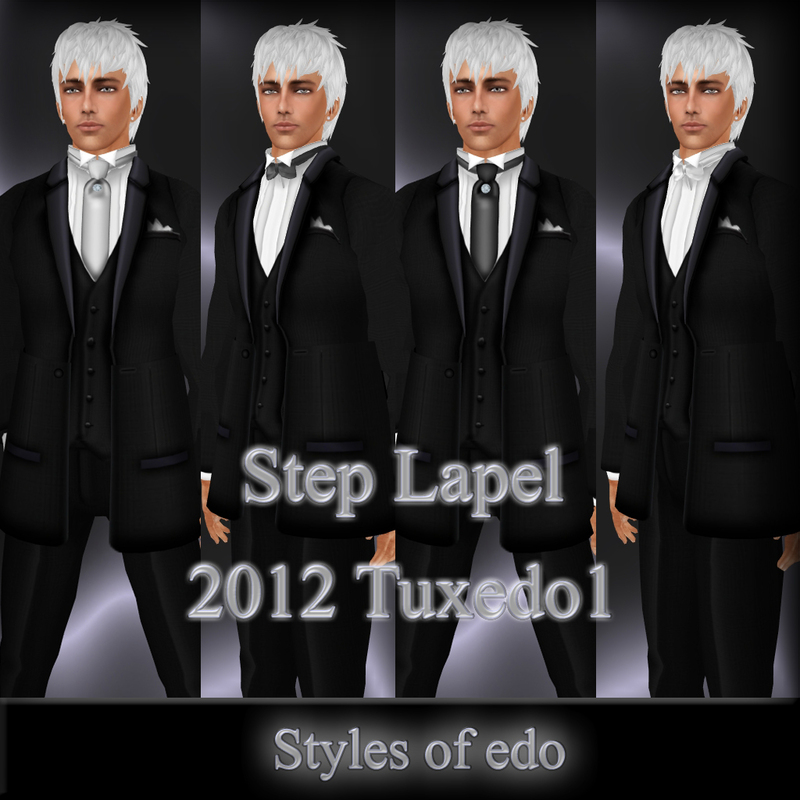 New 2012 Step Lapel Tuxedo Coordinates have arrived! They are mono tone color coordinates this time. **to join just copy paste in world. Posted in: Men's clothing. 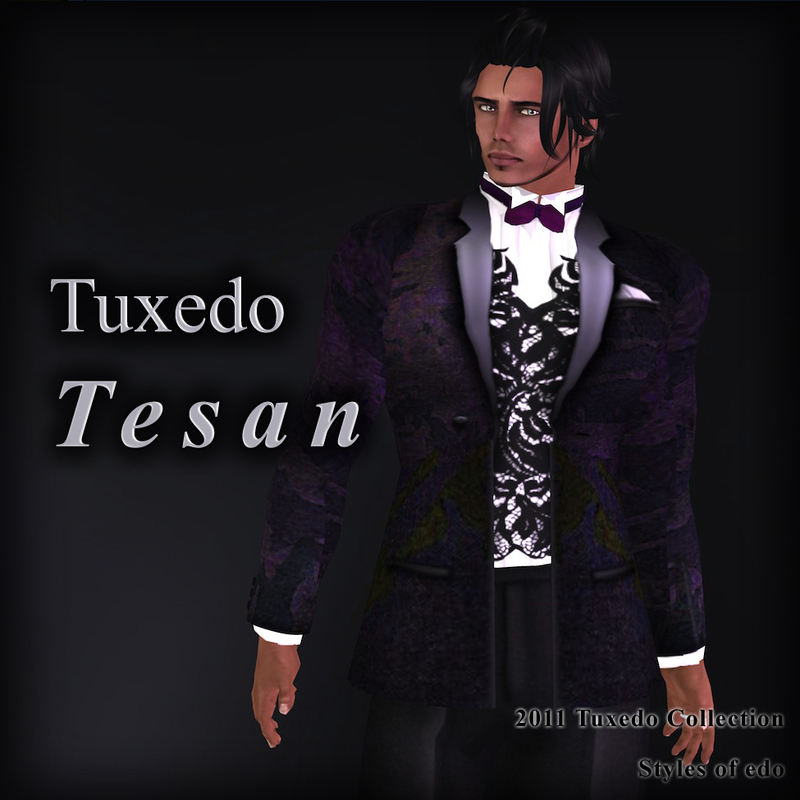 Tagged: Formal, Men's, Tuxedo. 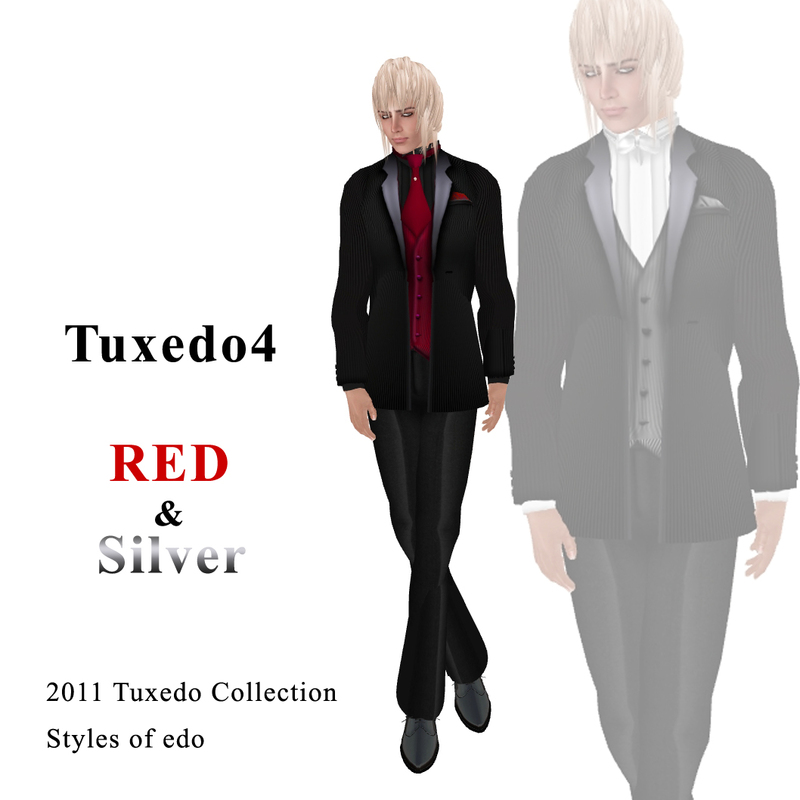 Tuxedo4 with Red and Silver vests. 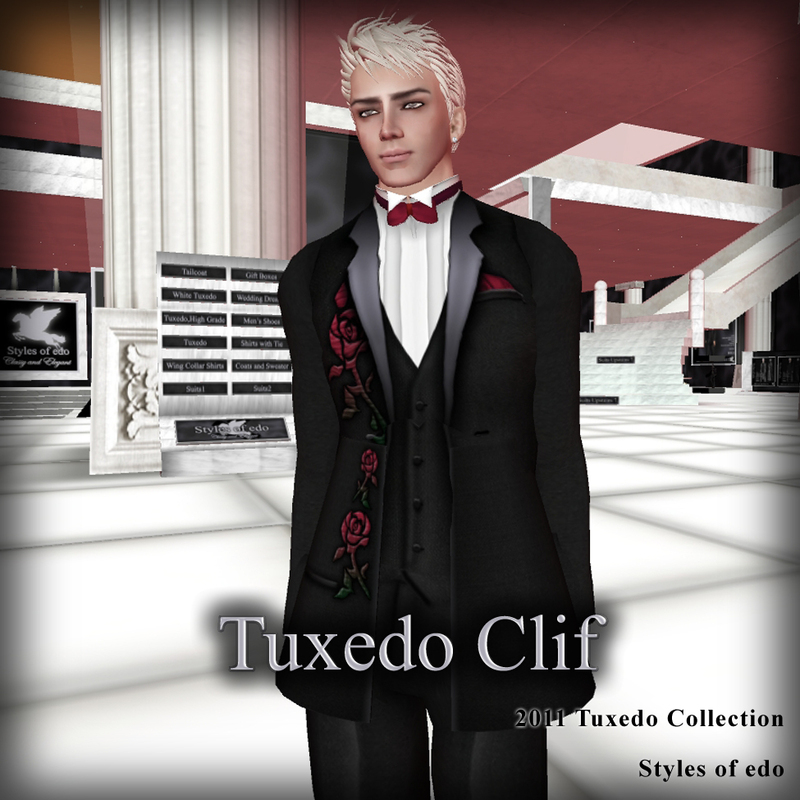 50 tuxedo boxes at styles of edo in the gift and tranferrables section. 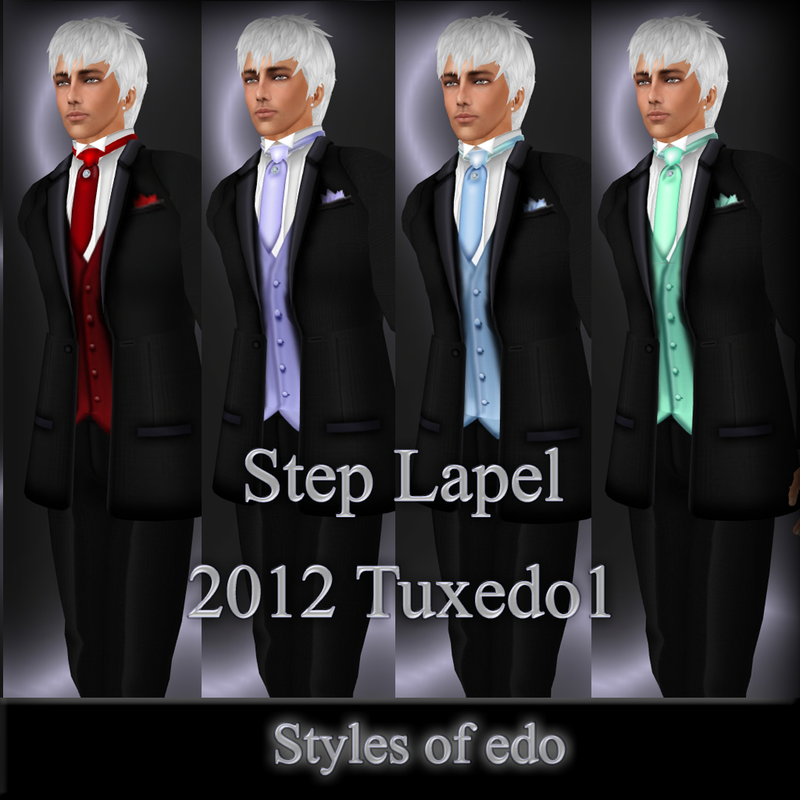 New at edo 26 Sculpted collars with sculpted ties with textured shirts white and colors. 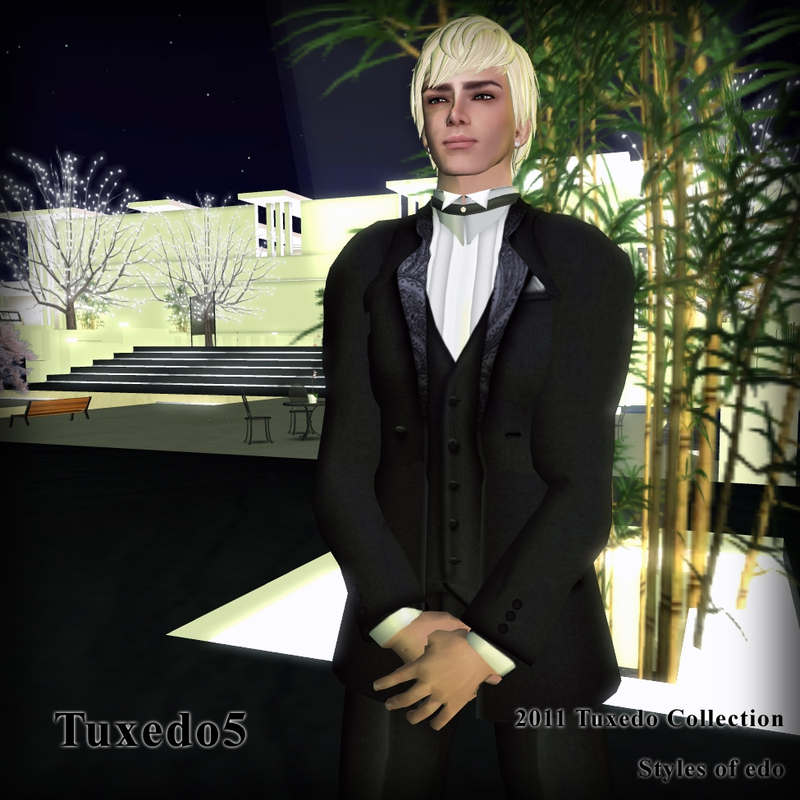 2011 Tuxedo Collection Tuxedo5 and 6 coordinated have arrived. 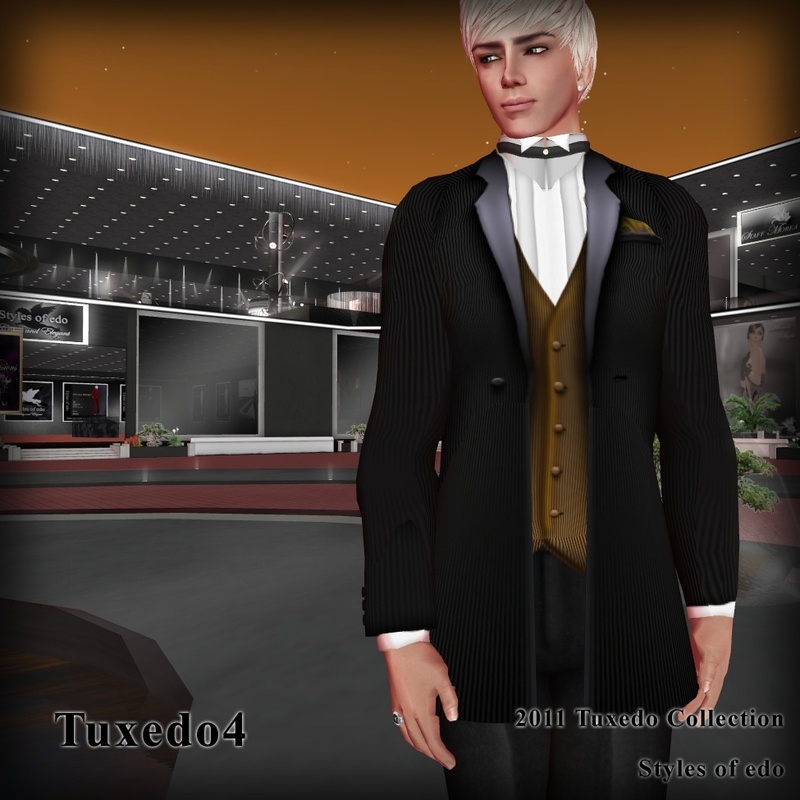 2011 Tuxedo Collection Tuxedo4 coordinated have arrived. I used Caramel color vest. Posted in: Men's clothing. 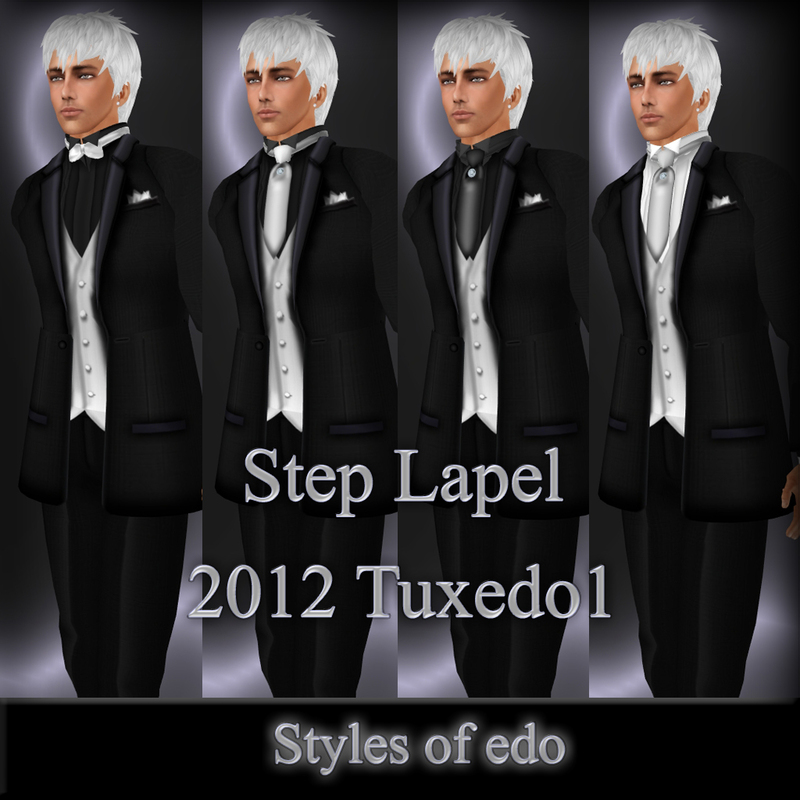 Tagged: Formal, Men's, Suit, Tuxedo.